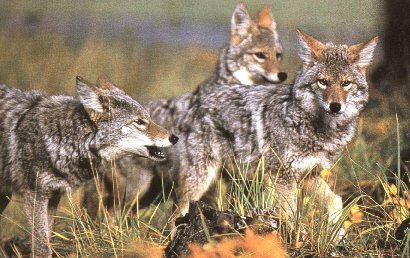 Animal Wildlife | Coyote | Coyotes (prairie wolf) are native to North and Central America although they are believed to have split off from the European grey wolf. They are a species in their own right, differing from wolves in vocalization patterns, ecology, pack structure. 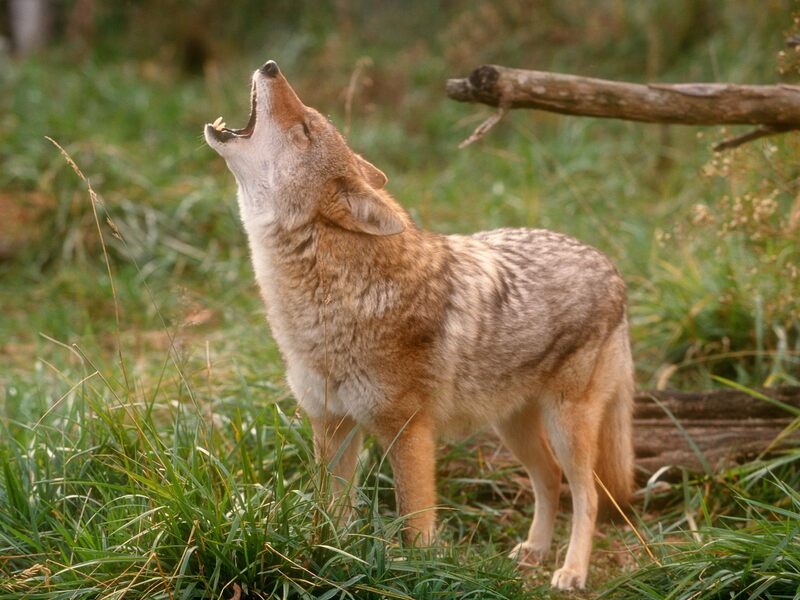 The coyotes scientific name Canis latrans actually means barking dog. 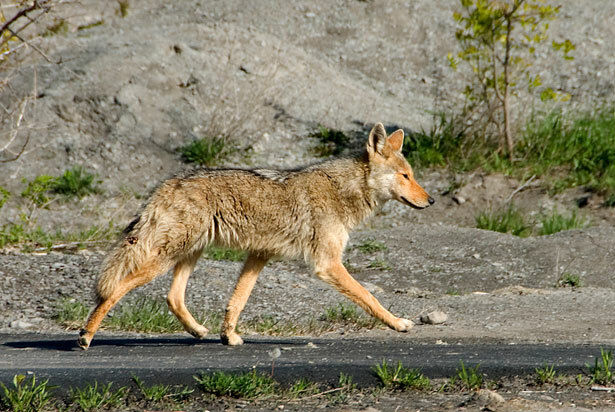 Coyotes grow up to about 90cm in length, which is a similar size to a medium dog. The northern subspecies of coyote generally grows bigger than the southern subspecies of coyote. The Eastern coyote is the largest of all and has been found to be the result of a few remnant wolves mating with incoming coyotes in the northeastern states of the USA. The coyote is able to reach sprinting speeds of around 40 mph which the coyote is able obtain for extended periods of time. The coyote can also jump to heights of up to 4m! There are 19 different subspecies of recognised coyote with only 3 of these coyote subspecies found in central America. The remaining 16 subspecies of coyote can be found distributed throughout Mexico, Canada and the USA. Historically the coyote has generally been nocturnal but now can often be seen during the day in areas where they are not persecuted by humans. In areas where they are heavily hunted and trapped they tend to remain nocturnal. Coyotes adapt very well to suburban life and can often be seen drinking out of swimming pools. The coyote tends to reside in a burrow when its not looking for food and the coyote is more than capable of digging the burrow itself. The coyote is intelligent enough to find and inhabit an empty badger burrow if at all possible. This becomes the center of the coyotes territory which can extend to 19 km around the den. The size of the territory depends on how much food is available. 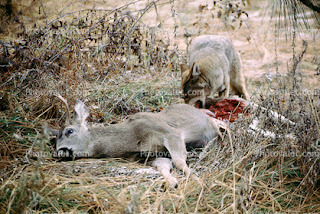 Coyotes tend to associate in mated pairs, though in areas where large prey live a loose pack structure is observable. They are considerably less social than wolves and their threat displays are much more primitive. 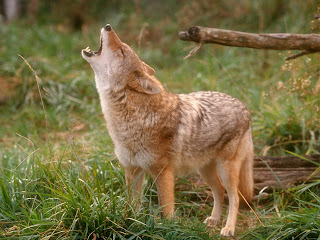 They arch their backs and gape their jaws and do not have the repertoire of facial expression the more social wolf has. 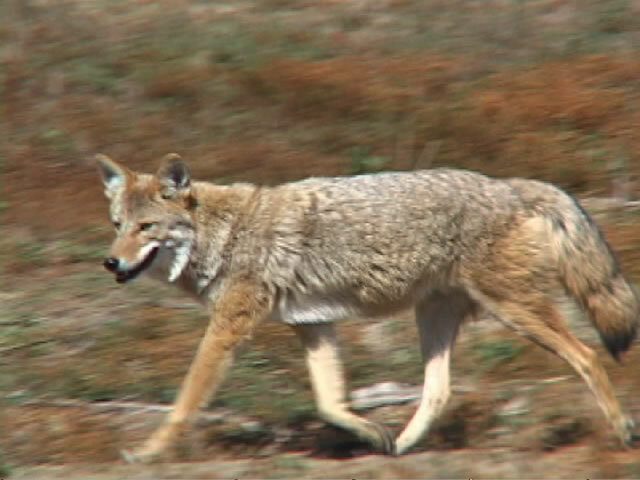 The coloring of the coyote varies considerably according to location. In the northernmost parts of its range coyotes can be pale to almost white in color. In the west they tend to be a rich reddish hue with black markings. In the plains states they are plain grayish brown. The occasional black coyote is seen in the great plains states and in the eastern states; those may actually be the result of hybridization with wolves. It would take DNA analysis to be sure.